Lindisfarne Island was the home of Celtic saints like Aiden and Cuthbert and the birthplace of Christianity in the UK. Keith Duke has drawn on this heritage to produce a worshipful mix of Celtic music and ancient chants to touch both heart and soul today. Celtic Voices sing 14 beautiful pieces accompanied by Iona?s David Fitzgerald. Sacred Weave by Keith Duke is published by Kevin Mayhew and is our 13762nd best seller. The ISBN for Sacred Weave is 1490110. 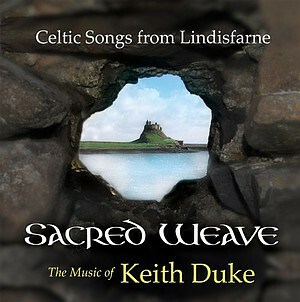 A wonderful collection of music from Lindisfarne; perfect for spiritual background during church services or for personal reflection. Unbeatable. Got a question? No problem! Just click here to ask us about Sacred Weave. Where can I find the words please? Now Playing: Come, my Lord, my light, my way Your browser does not support the audio element.